Dozens of chemical fertilizer is produced in factors to maintain and reclaim soil fertility, but the reliance on artificial fertilizer alone is not advisable due to environmental pollution. . Thus, indigenous plant species can maintain soil fertility without any extra cost. The aim of this study was to examine the effect of indigenous tree species on soil physical properties. Three dominant indigenous trees species (Croton macrostachuys, Cordia Africana and Albizia gummifera) were considered. Soil samples were taken from different sampling points under crown of these tree species (mid of crown and edge of crown). One sampling point is included by far 30m from the selected tree as a control group. Soil sample was taken by using core sampler. Soil physical properties such as texture, structure, porosity, bulk density and moisture content were analyzed. Bulk density was determined as 0.73g/cm3, 0.75g/cm3 and 0.8g/cm3 for Albizzia gummifera, Croton macrostachuys and Cordia Africana respectively. Bulk density was very small under crown of all trees as influenced by the amount of organic matter falling from trees leaf. The texture under crown of all tree species (silty loam, loam and loamy sand) is quite better for agriculture purpose than control point. Soil color under crown is in the range of brown to black color, which indicates high fertility level. Soil porosity was very high under the crown of all tree species as compared to the control site. It is determined as 72.5%, 71.6%, and 69.7% for Albizzia gummifera, Croton macrostachuys and Cordia Africana respectively. Soil consistence, porosity and moisture content were better under crown of the trees than control group. Soil properties under the crown of indigenous tree species were better than bare land soils. Therefore, indigenous trees are promising option to maintain soil fertility level and land owners ought to be aware of this miracle. Berg B, Laskowski R., A Guide to Carbon and Nutrient Turnover:A Guide to Carbon and Nutrient Turnover. San Diego: Academic Press, 2006. KoukouraZ, Mamolos AP, Kalburtji KL., “Decomposition of dominant plant species litter in a semi-arid grassland,” Appl. Soil Ecol., vol. 23, pp. 13–23, 2003. Mc Groddy ME, Dan Fresne T, Hedin LO., “Scaling of C: N: P stoichiometry in forests worldwide: implications of terrestrial Red field type ratios,” Ecology, vol. 85, no. 9, pp. 2390–2401, 2004. OnyekweluJC, Mosandl R, Stimm B., “Productivity, site evaluation and state of nutrition of Gmelinaarborea plantations in Oluwa and Omo forest reserves,” Niger. For. Ecol. Manag., vol. 229, pp. 214–227, 2006. Polyakova O., Billor N., “Impact of deciduous tree species on litter fall quality, decomposition rates and nutrient circulation in pine stands,” For. Ecol. Manag., vol. 253, pp. 11–18, 2007. Santiago LS., “Extending the leaf economics spectrum to decomposition: evidence from a tropical forest,” Ecol., vol. 88, pp. 1126–1131, 2007. Knorr M, Frey SD, Curtis PS., “Nitrogen additions and litter decomposition,” a metaanalysis. Ecol., vol. 86, pp. 3252–3253, 2005. Gindaba .J, Rozanov A, Negash., “Response of seedlings of two Eucalyptus and three deciduous tree species from Ethiopia to severe water stress,” Ecol. Manag., vol. 201, pp. 119–129, 2004. Dijkstra, F. A., “Effects of tree species on soil properties in a forest of the northeastern United States,” pp. 9–10, 2001. 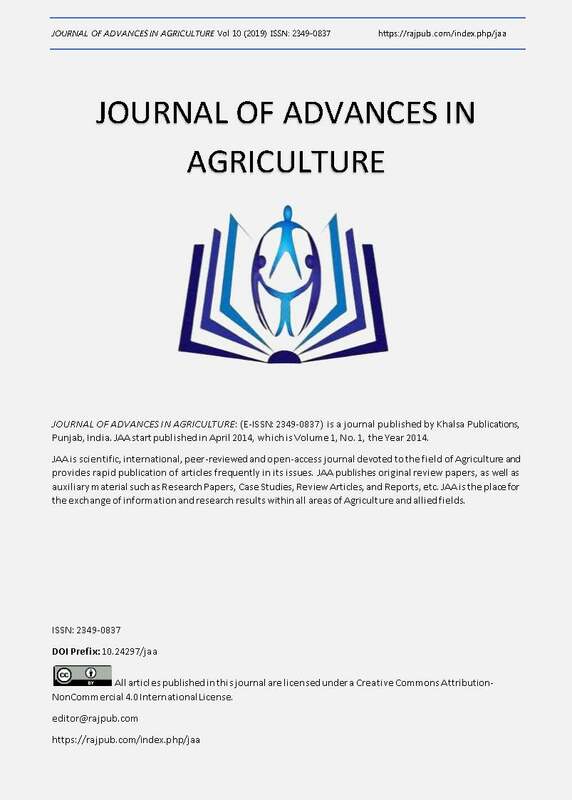 Kindu, M., Glatzel, G. and Sieghardt, M., “Evaluation of commonindigenous tree and shrub species for soil fertility improvement and fodder production in the highland areas of western Shewa, Ethiopia,” 2006. Berhane, K., Kindu, M., Fekede, F. and Chilot, Y., “Agroforestry practices, opportunities and research needs in the highlands of Dendi wereda, Ethiopia,” 2006. CIA, “Climate information agency,” 2016. Laiho, T. Penttilä, and J. Laine, “Variation in soil nutrient concentrations and bulk density within peatland forest sites.,” Silva Fenn., vol. 38, no. 1, pp. 29–41, 2004. Pandey RR, Sharma G, Tripathi SK, Singh AK., “Litter fall, litter decomposition and nutrient dynamics in a subtropical natural oak forest and managed plantation in northeastern India,” For. Ecol. Manag., vol. 240, pp. 96–104, 2007. Shukla, B. and Gupta L., “Response of Mn application and evaluation of chemical extractants to determine available Mn in some arid brown soils of Haryana,” J. Indian Soc. Soil Sci., vol. 23, pp. 357–364, 1975.